Benitoite if one of the brightest, rarest and most expensive gemstones in the world. Stones of gem quality are found only in one location of the world: Benitoite Gem Mine in California. The story of benitoite starts in 1907 with James M. Couch – a Californian rancher who decided to prospect in the Mount Diablo range with an aim to find copper or cinnabar. Once, after a few days of research near his campsite, James noticed an exposure with blue crystals. The ground below this exposure covered with thousands of these blue crystals. Crystals had an intense blue color, they were transparent and glittering – there were no doubts that this is a valuable find. When he managed to go through a bush, James found even more – a small cave which was lined with thousands of these gorgeous crystals (this natural wonder, unfortunately, was dynamited later in an unsuccessful attempt to get the crystals). The excited miner gathered pockets full with these crystals and rushed to tell about his find. It was not clear – what kind of stone this is. It looked like sapphire, one jeweler considered this to be blue obsidian. The prospectors sent the samples to the University of California, Berkeley. 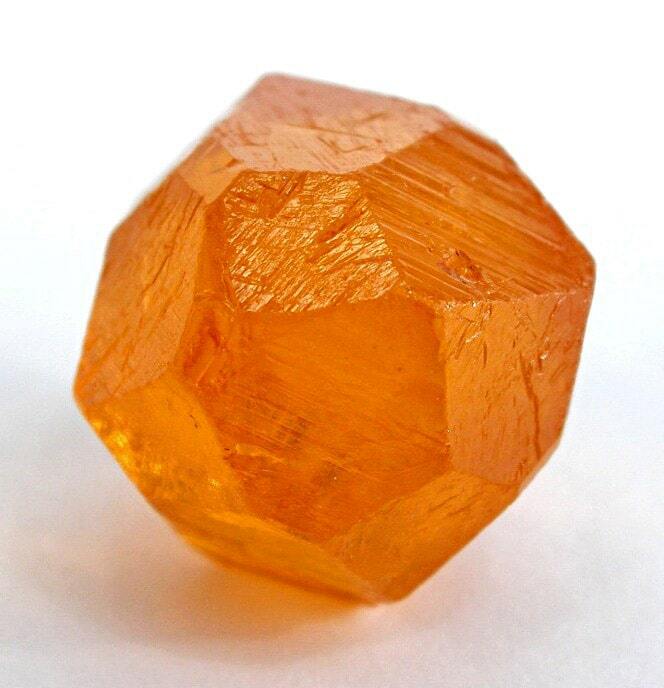 Only here geologist George Louderback found out that this is a newly discovered mineral. he named it benitoite after the site of its find near the headwaters of the San Benito River. Later James Couch was tricked out from the ownership of this newly discovered gemstone. The mine was worked by R.W.Dallas, who ordered to make a tunnel through the outcrop. In later years the owners of the mines changed, many stones were taken also by the collectors and just people who liked to beautify their gardens with large chunks of unusual rocks. For decades the mining was brutal and nearly all gems were lost in the process – pulverized and otherwise damaged. Only much later it was discovered that hydrochloric acid eats away other materials and intact crystals of benitoite can be obtained. It is estimated that there are no commercially valuable veins of these crystals left (although no one knows this for sure) and in 2005 the mine was opened to the public. Now the visitors are purchasing fairly expensive tickets to enter the park. Nevertheless, large and beautiful crystals still are found here. Benitoite is a state gemstone of California since 1985. Benitoite is one of the very few gemstones in the world which has naturally intense blue color – most of the others (e.g. tanzanite, sapphire) in most cases need heating to excel the color. Stones have a noble sapphire blue color, although there are also colorless and pink samples. This stone has also quite an impressive index of refraction – it is one of the brightest, fieriest gemstones, surpassing diamond in this respect. This mineral forms beautiful crystals of a rare form with five points. Sometimes is found even rarer star-shaped form with 6 points – there have been found approximately 24 pieces of such benitoite crystals. 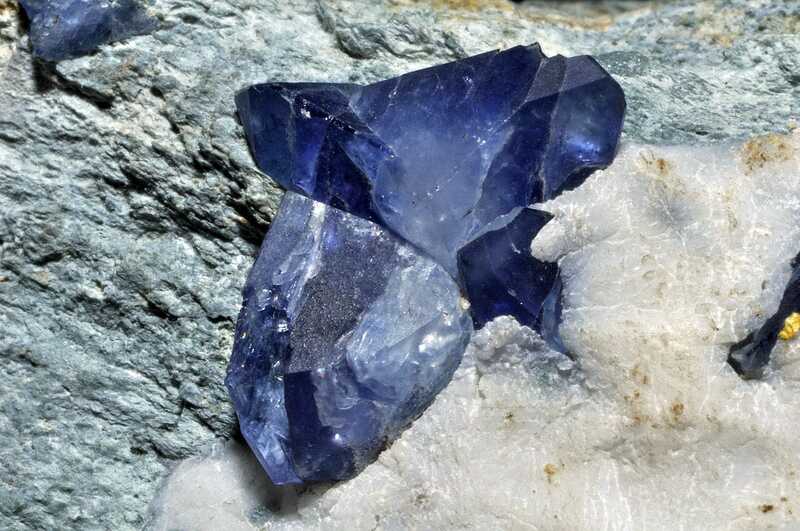 Benitoite can be fairly easily identified by ultraviolet light – then it glows in a bright blue to white color. The rarest and most expensive gemstone? This stone is found in several places around the world but stones of gem quality are found only in one site in California – Benitoite Gem Mine. Some 7 – 8 km to the northwest is one more find – Junilla mine, but only a few specimens of gem quality have been found there. Elsewhere are found either very small crystals of just traces of this mineral. It has been assessed that between 1907 and 2003 only some 10,000 carats of this gem have been cut and polished. Benitoite of high quality can be more expensive than diamonds, emeralds or rubies – the price may exceed 10 000 USD per carat! 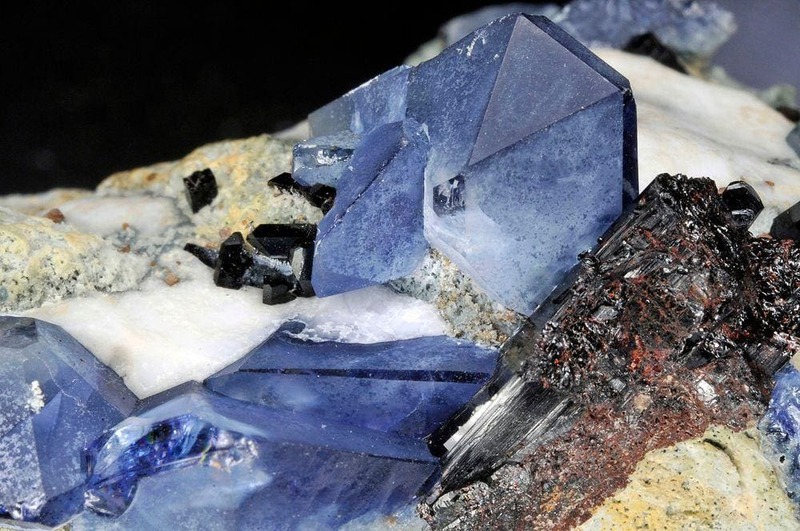 Together with benitoite are found other very rare minerals – neptunite (beautiful as well! ), joaquinite-(Ce) and others. Everyone can visit the mine and look for the gems himself – on weekends California State Gem Mine is open for visitors and people can search for the stones themselves – and, according to the site visitors, there is much fun and unexpected excitement. Benitoite, mindat.org. Page accessed in the 29th January 2019. George Davis Louderback, Benitoite, a New California Gem Mineral. University of California Publications, Bulletin of the Departments of Geology. Vol. 5. pp. 149-153. 1907. Page accessed in the 29th January 2019. California State Gem Mine. Page accessed in the 29th January 2019. 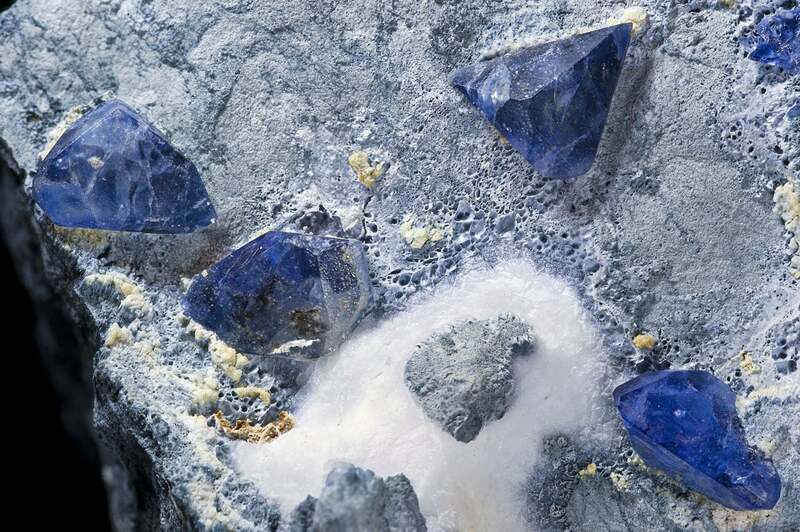 The Benitoite Story: California’s State Gemstone. Page accessed in the 30th January 2019. Benitoite Gem Mine, San Benito County, California. Page accessed in the 30th January 2019. This is the first in a series of books that will explore the history, lore, evaluation, geographic sources, and identifying properties of lesser-known gems. This volume has 288 colour photographs of mounted and loose tanzanite, ammolite, zultanite, rhodochrosite, sunstone, moonstone, labradorite, spectrolite, andesine, amazonite, bytownite, orthoclase and oligoclase.